The Mirage 2000 is a delta wing fighter jet which is in large number in service with the French Air Force. 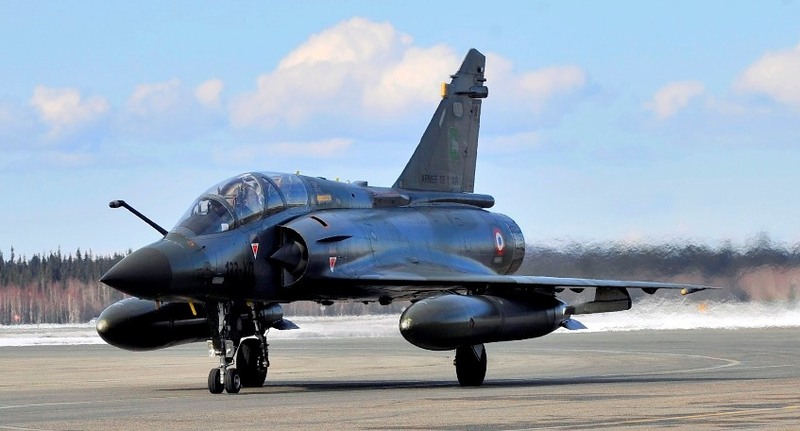 It has been developed by the French Company Dassault for the French Air Force. The primary mission is air defence with an air-to-ground capacity as secondary role. It can be armored with conventional laser-guided bombs, missiles and stand-off weapons. The mirage can detect multiple targets thanks to the Thales RDY 2 radar. Furthermore it has a fully digital fly-by-wire system, an internal ECM self-protection system, OBOGS and one Snecma M53 turbofan engine with afterburner. The newest version, the Mirage 2000-5 for France and the Mirage 2000-9 for the UAE Air Force is equipped with the M53-P2 turbofan engine. The French Mirages 2000 are having a glass cockpit (>90% electronics) which is equipped with 5 displays, including an innovating head-level concept and a head-up display. 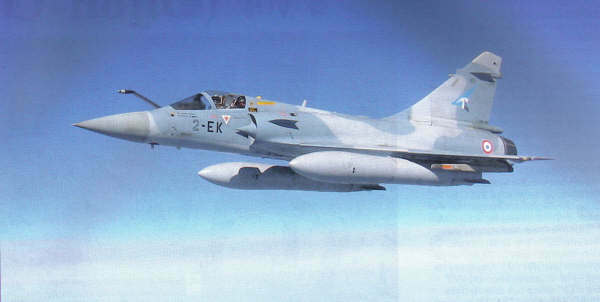 Mirage 2000C en B: air defence version which came operational in 1984 with the French Air Force. 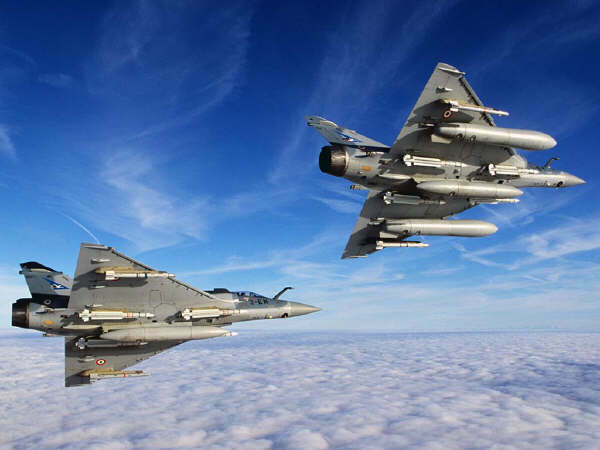 Mirage 2000D: Begin 90th years the Mirage 2000 D version was developed due to the increased conflicts in the world and the need for precision ammunition with conventional weapons. Mirage 2000E: A improved version from the C version. The Mirage 2000 E can do air-to-surface mission systems like with TV or laser guided weapons or with Excot anti-ship and Armat anti-radiation missiles and with ELINT, recce capacities. 157 Mirage 2000 E aircrafts have been sold to 5 different countries. 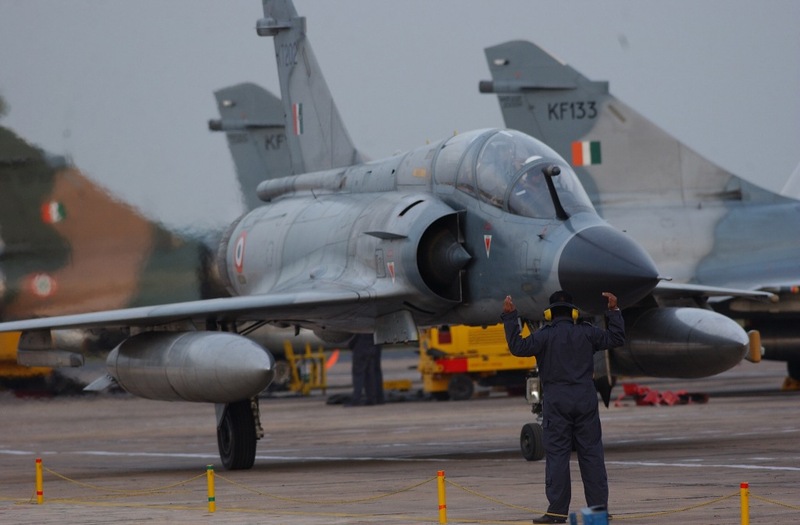 157 Mirage 2000 E jets have been sold to 5 foreign countries. 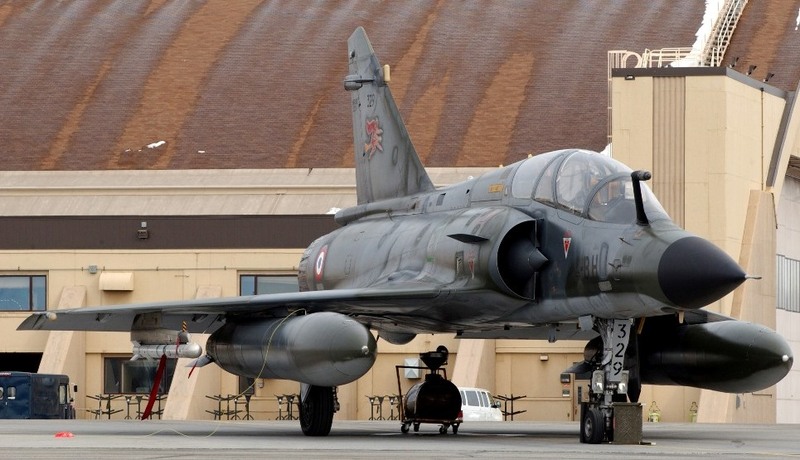 Mirage 2000N: In 1986 the Mirage 2000 N version came operational to do nuclear missions. Maximum range 830 nm / 1537 km with Mach 0.8 at 15.000 ft.
Greece Hellenic Air Force has also the Mirage 2000 in the Mirage 2000 EG/BG version. Other countries are: Taiwan, Qatar and the U.A.E.